Friday, we posted the first part of our interview with Wouter, who runs a site called Spydercollector that is devoted to all things Spyderco. In the second part, Wouter discusses possible trends we might expect from past and future Spyderco knives. In your opinion, what defines a good knife? It may seem obvious, but first and foremost it has to cut well. In my book, that means a thin edge with a full flat grind, and no bolted-on thumbstuds or -discs. It also has to be easy to sharpen; as most thin edges are. After that it has to have good ergonomics and be lefty-friendly. I want to be able to work with a knife for more than ten minutes and not have any hotspots on my hand. Furthermore, a knife has to be easy to carry. That problem is usually solved by a well placed pocketclip. The basic pattern for a good knife –for me- is the Spyderco Calypso jr./Caly 3/UKPK pattern. It combines all the aforementioned features. You’ve been lucky enough to have access to many new models. What trends have you noticed in Spyderco prototypes over the years? 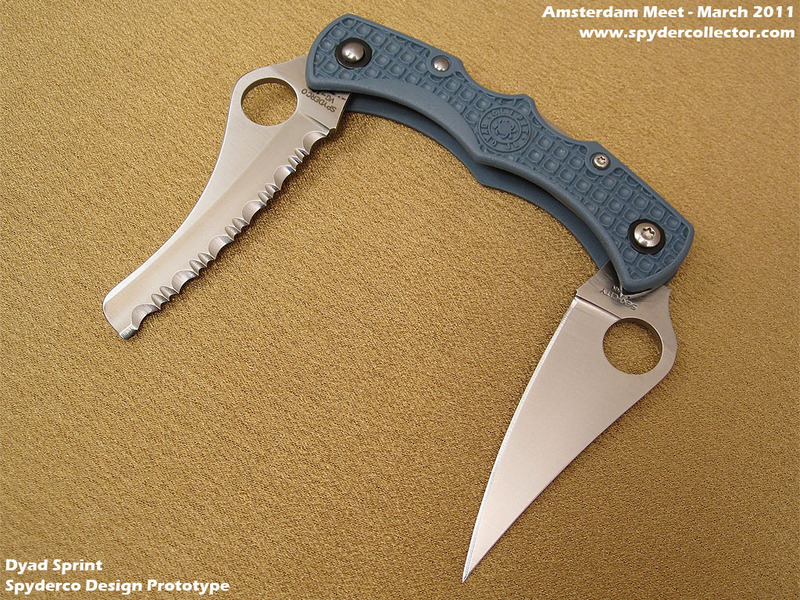 It’s worth noting that everyone who is able to attend the Amsterdam Meets, or a major knifeshow with a Spyderco Booth, has access to these prototypes. After the first few Amsterdam Meets I’ve been asked to photograph and publish the knives for the online knifeknuts. The deal is that I can publish the production prototypes but not the concept models, which are further away from production. Back to your question, I’ve seen a couple of trends. Generally, I’ve seen faster development times, more experiments with new materials, more use of ethnic designs and more knives that are adapted to changing knife laws. More importantly, I’ve noticed that the Spydercrew incorporates more user feedback every year. Even when a knife is trashed in a review and most people think that the knife was abused beyond reasonable use. 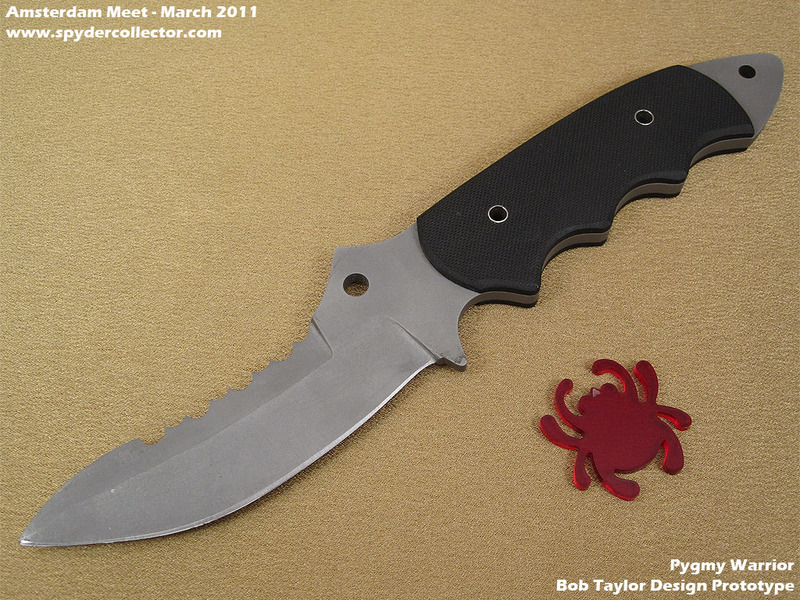 Well, cooler heads prevail I guess and Spyderco comes up with an improved version of the knife in question. Spyderco wants to make a knife you can use and trust in any environment. The world is changing, both in terms of legislation and technology, and Spyderco is using both to keep making using knives. What can we expect from future Spyderco knives? One thing for sure, more Slipits. Ten years from now, about 90% of the knives that are in the catalog now, will probably be illegal to carry in all ‘developed’ countries. As much as I regret that development, I know Spyderco is still able to make great and interesting knives. Also, there will be more high-tech in future Spyderco knives. The caged ball lock, H1steel and the translucent FRCP Manix 2 are, in my opinion, great innovative solutions to keep making a stronger, better and lighter pocket knife. Finally, is there anything else you’d like to add about your interest for Spyderco or knives in general that you haven’t mentioned? Some knife companies profile themselves as tough, aggressive companies who make ‘killer knives’ for high-speed people etc… Spyderco is not one of those companies. The brand is respected in military, law enforcement and martial arts circles, but you absolutely wouldn’t get that impression when you meet the crew. Talking to Sal or Eric Glesser I’ve discovered it’s not a coincidence, they know their stuff and are definitely not opposed to making a good MBC (Martial Bladecraft) knife. I have always liked that aspect of a company that makes so many great utilitarian pocket knives. 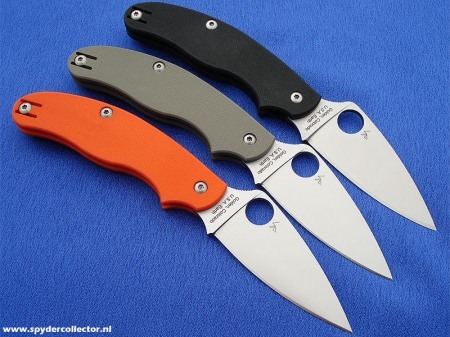 For more pictures and information about prototypes, take a look at the Spydercollector, or if you want to buy one, Knife Depot has a wide selection of Spyderco knives. Ten years from now, about 90% of the knives that are in the [Spyderco] catalog now, will probably be illegal to carry in all ‘developed’ countries. Nonsense. I like Wouter’s blog, but that statement is parochial. Unless the United States (Spyderco’s home!) doesn’t count as “developed” for some silly reason, then there is virtually no chance of his prediction coming to pass. I visibly carry a Spyderco (a real one, with a lock) to university, in church, in the doctor’s office, in cafes, and on the streets without a problem, and I certainly expect to be doing so a decade from now. Just two years ago, popular outcry led the U.S. Congress to override a proposed U.S. Customs ruling that would have prohibited the importation of locking knives with a spring-assisted opening mechanism. The statute safeguarding the importation of these knives passed in Congress by a large majority, was signed into law by a liberal President, and is in force today. Meanwhile, in recent years, American states like Arizona and New Hampshire have abolished essentially all of their laws that formerly restricted the carrying of modern knives, including even fully automatic knives (“switchblades”). While there are authoritarian, anti-knife trends in some coastal cities such as NYC and Boston, they remain decidedly in the minority. I expect that Americans, by the millions, will still be buying and carrying modern pocket knives (which means a lock and a one-hand opening) not only in 2021, but in 2071.